If you are a beach bum and love the quiet side of beach hopping then this is the place for you! 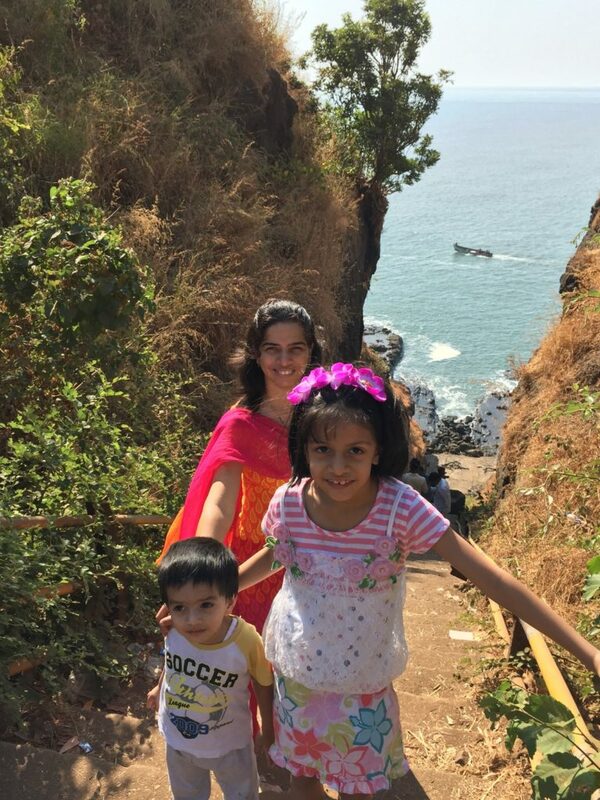 Harihareshwar, Shrivardhan and Diveagar fall in the konkan belt, yet are close enough from Pune for a long weekend holiday. Konkan beaches are known for being very rustic and off-beat. 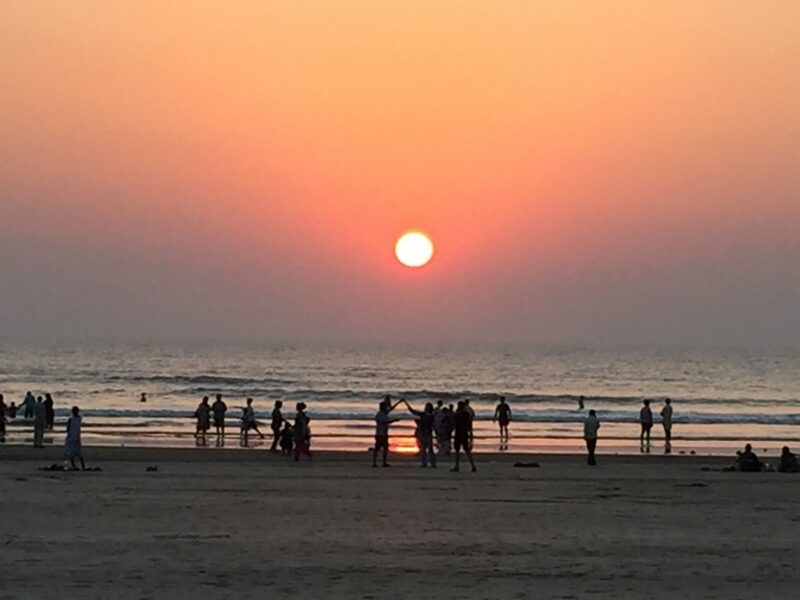 You won’t find the regular party scene, luxury hotels and resorts or casinos, nightlife and shopping which is synonymous with other popular beaches like Goa. So if you are looking for a chilled out, leisure vacation then read on! Drive- It’s a beautiful drive from Pune via Tamhini Ghat. IT takes around 4.5 hours to reach Harihareshwar and Shriwardhan is another hour or so from there. As all three places are close to each other, you could stay at one place and then do day trips to other locations. Bus – There are state transport and a few private operators who ply to these locations. The connectivity from Mumbai is much better than Pune, however if possible always opt for a drive as that is really fun. Pro Tip – Leave early morning, to reach before lunch as then the drive is fun and the sun isn’t beating down on your windshield. Harihareshwar is famous for a Shiva temple by the same name. The temple is pretty old and is located right next to the beach. This is the perfect place to have some great views of the beach, a long quiet walk and find some sea shells. In the evening enjoy some beach fun with horse rides and sand bikes. We enjoyed walks on the beach in the morning, spent some time exploring the temple and a long route that goes around the temple, and evenings before sunset in the waters. Don’t expect fancy hotels, there are good enough home stays or budget hotels here that are good. Eat local food and have fun enjoying a non-rushed vacation. There is a jetty service that takes you to Diveagar from Harihareshwar. Do try it out! We missed our ride as we reached the jetty ticket counter late! Shrivardhan is about 1.5 hours from Harihareshwar. This is another temple town with lovely small houses and home stays. The drive from Harihareshvar to Shrivardhan via Aravi beach is just stunning! You have the sea on one side and coconut trees on the other. The road is not too busy making the drive even more enjoyable. The Shrivardhan beach has a garden along the shore so try and visit the beach in the evening. The sunset is beautiful and you can have some fun on the clean wide beach. 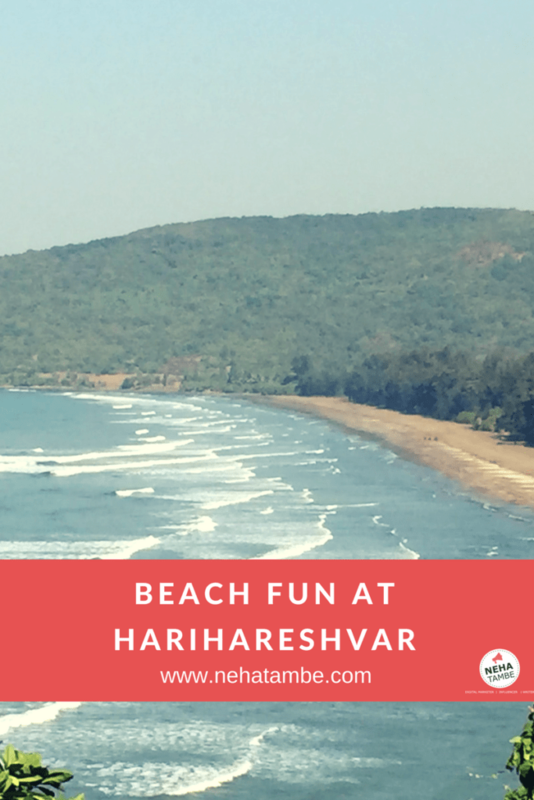 This beach is cleaner and easier than Harihareshwar as the latter has a rocky bed. We enjoyed playing ball and making sand castles here. Have some fun at the beach, eat some thela-style snacks and enjoy a spectacular sunset. Diveagar is by far the most popular beach. There is an old Ganapati temple here and Diveagar is famous for that. Apart from the temple there are good amount of decent resorts here, compared to both Harihareshwar and Shrivardhan. The beach is nice and clean and there are a lot of water sports that one can enjoy here. The best of the experience for me was getting hot and yummy ‘Ukadiche Modak’ right at the beach! These are divine and every sweet lover should taste them once. Ukadiche Modak are similar to steamed momo’s, with a coconut and jaggery filling. These are supposedly Ganapati’s favourites and Diveagar sure offers the best of them! Another fun thing that you should try is almost every house here offers fresh meals. It is a different concept from a hotel, so you don’t just walk-in and order. These are actual homes who are cooking meals (thali) You need to inform them prior or could check if they can accommodate you. The food is simple and homely but is usually the best of local fare. So a non-veg thali could have fried fish, fish curry and bhakri while a pure veg thali would have chapatti, aalo ki sabji and ukadiche modak. After the temple darshan, we just walked around and found a lot of homes offering meals. (They have boards announcing the same.) We walked into one of the house, booked our meal and rested in their backyard. My kids had super fun as the owners had a cow shed with a small orchard and were more than willing to take my kids around. They tried their hand at feeding the cows, playing with the calf and figuring out various trees in the garden. This was one of the most relaxed vacations that we had! I have been to Harihareshwar and Srivardhan almost 21 years ago! That does sound like such a long time, but I remember every part of the trip vividly. The beaches, the food, and the simple folks at both these places had a charm one may not find at hill stations or some holiday resorts. I have never been to Pune or nearby places but have a wish to explore this side of Western India for a very long time. Hopefully, will plan a trip very soon. These places sound like must-visit for beach lovers. This is just amazing. It is on my bucket list now. There are many long weekends this year, I am definitely making this trip. My daughter would enjoy having such an experience. We always feel that resorts give us comfort while travelling, but I guess enjoying nature, staying in a local environment and eating local food gives the best experience of travel. I had been to Harihareshwar too just about 3 months ago. Was a wonderful place. Fell in love with the place. Harihareshwar is best of them. It also a night halt place if we are traveling from Surat to Goa. Nice article. Exploring Konkan beaches is in my wishlist for long. I have been to Goa numerous times and have had my share of frolic. But experiencing rustic nature, sparsely populated beach towns n eating home cooked food, sounds like a plan. Diveagar is my favorite place too, calm an serene 🙂 We went here twice, my favorite vacation was in June (off season) but the best to have detox time. I at yet to explore Shirvardhan! Wow! This looks like a great place to visit! Just like my hometown !! ❤️❤️Thanks for introducing..